This outstanding example of a 2019 Toyota Corolla Hatchback SE is offered by Kendall Toyota of Bend. This Toyota includes: 50 STATE EMISSIONS ALL-WEATHER FLOOR LINERS (PPO) Floor Mats *Note - For third party subscriptions or services, please contact the dealer for more information. * The 2019 Toyota exterior is finished in a breathtaking Midnight Black Metallic, while being complemented by such a gorgeous Black interior. This color combination is stunning and absolutely beautiful! The Toyota Corolla Hatchback SE will provide you with everything you have always wanted in a car -- Quality, Reliability, and Character. Beautiful color combination with Midnight Black Metallic exterior over Black interior making this the one to own! Contact Kendall Toyota of Bend today for information on dozens of vehicles like this 2019 Toyota C-HR Limited. Want more room? Want more style? This vehicle includes dealer installed options. Custom wheels and upgraded traction tires make this vehicle stand out over any other! This Toyota C-HR is the vehicle for you. Just what you've been looking for. With quality in mind, this vehicle is the perfect addition to take home. You've found the one you've been looking for. Your dream car. This vehicle won't last long, take it home today. This 2019 Toyota Corolla Hatchback XSE is offered to you for sale by Kendall Toyota of Bend. This Toyota includes: SPECIAL COLOR 50 STATE EMISSIONS *Note - For third party subscriptions or services, please contact the dealer for more information. * Stylish and fuel efficient. It's the perfect vehicle for keeping your fuel costs down and your driving enjoying up. You can finally stop searching... You've found the one you've been looking for. Beautiful color combination with Blizzard Pearl exterior over Black interior making this the one to own! This 2019 Toyota Avalon XSE is offered to you for sale by Kendall Toyota of Bend. This Toyota includes: 50 STATE EMISSIONS JBL AUDIO UPGRADE SPECIAL COLOR *Note - For third party subscriptions or services, please contact the dealer for more information. * Everyone hates the gas pump. Skip a few gas stations with this super fuel efficient ToyotaAvalon. You've found the one you've been looking for. Your dream car. You can finally stop searching... You've found the one you've been looking for. 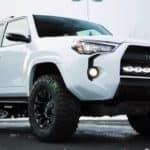 This 2019 Toyota 4Runner TRD Off Road is offered to you for sale by Kendall Toyota of Bend. This Toyota includes: RUNNING BOARDS Running Boards/Side Steps KEEP IT WILD SAVINGS *CREDIT* 50 STATE EMISSIONS KINETIC DYNAMIC SUSPENSION SYSTEM (KDSS) RADIO: ENTUNE PREMIUM AUDIO WITH NAVIGATION Smart Device Integration Navigation System Bluetooth Connection ALL-WEATHER FLOOR LINERS/CARGO TRAY PACKAGE (PPO) Floor Mats *Note - For third party subscriptions or services, please contact the dealer for more information. * This SUV gives you versatility, style and comfort all in one vehicle. This vehicle comes with 4WD for better traction on unstable surfaces, like snow and dirt to give you the edge over anything you might encounter on the road. Where do you need to go today? Just punch it into the Toyota 4Runner on-board navigation system and hit the road. Contact Kendall Toyota of Bend today for information on dozens of vehicles like this 2019 Toyota Highlander SE. This Toyota includes: ROOF RACK CROSS BARS (PPO) Luggage Rack 50 STATE EMISSIONS REAR BUMPER PROTECTOR (TMS) (PPO) *Note - For third party subscriptions or services, please contact the dealer for more information. * Want more room? Want more style? This Toyota Highlander is the vehicle for you. Pull up in the vehicle and the valet will want to parked on the front row. This Toyota Highlander is the vehicle others dream to own. Don't miss your chance to make it your new ride. Navigate through all the icky weather with ease in this AWD-equipped Toyota Highlander, and even get non-stop traction for your non-stop lifestyle! In addition to the amazing traction control, you may even qualify for an insurance reduction with this AWD vehicle. 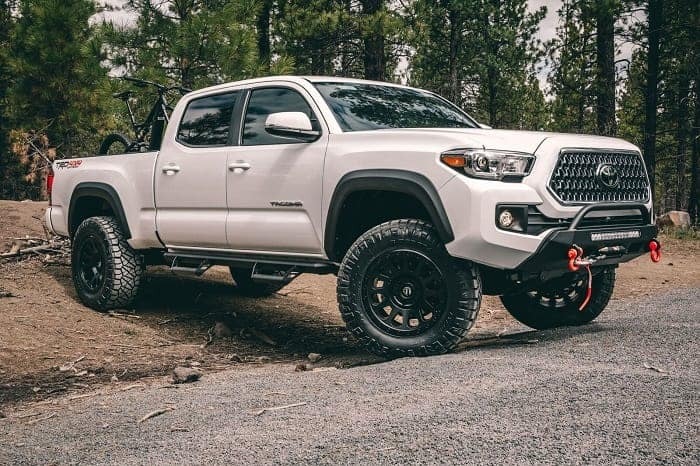 This 2019 Toyota Tacoma 4WD TRD Off Road is proudly offered by Kendall Toyota of Bend This Toyota includes: 50 STATE EMISSIONS *Note - For third party subscriptions or services, please contact the dealer for more information. * No matter the terrain or weather, you'll drive at ease in this 4WD-equipped vehicle. With exceptional safety features and superb handling, this 4WD was engineered with excellence in mind. Look no further, you have found exactly what you've been looking for. Beautiful color combination with Quicksand exterior over Graphite w/Gun Metal interior making this the one to own! Contact Kendall Toyota of Bend today for information on dozens of vehicles like this 2019 Toyota Highlander XLE. This Toyota includes: 50 STATE EMISSIONS SEATING FOR 8: 2ND ROW 60/40 BENCH SEAT Rear Bench Seat Pass-Through Rear Seat ROOF RACK CROSS BARS (PPO) Luggage Rack *Note - For third party subscriptions or services, please contact the dealer for more information. * Want more room? Want more style? This Toyota Highlander is the vehicle for you. There's a level of quality and refinement in this Toyota Highlander that you won't find in your average vehicle. Hit the gas pedal and put the engine power to all four wheels. With AWD, you'll have the greater performance right off the line, everytime you drive. This outstanding example of a 2019 Toyota Tacoma 4WD TRD Pro is offered by Kendall Toyota of Bend. This Toyota includes: DESERT AIR INTAKE PACKAGE 50 STATE EMISSIONS *Note - For third party subscriptions or services, please contact the dealer for more information. * Today's luxury vehicle is not just about opulence. It's about a perfect balance of performance, comfort and attention to detail. This 2019 Toyota Tacoma 4WD is the perfect example of the modern luxury. Taking the road less traveled has never been more fun than with this 4WD. With improved performance, mileage and acceleration, this 2019 4WD Toyota Tacoma 4WD TRD Pro is king of the off-road. Based on the superb condition of this vehicle, along with the options and color, this Toyota Tacoma 4WD TRD Pro is sure to sell fast. Contact Kendall Toyota of Bend today for information on dozens of vehicles like this 2019 Toyota Tundra 4WD SR5. This Toyota includes: ALL WEATHER FLOOR LINER Floor Mats TRD SPORT PACKAGE Fog Lamps Tires - Front Performance Aluminum Wheels Power Mirror(s) Privacy Glass Heated Mirrors Daytime Running Lights Floor Mats Tires - Rear Performance RADIO: ENTUNE AM/FM/HD W/CD PLAYER Smart Device Integration HD Radio Navigation System CD Player AM/FM Stereo Satellite Radio Bluetooth Connection Auxiliary Audio Input MP3 Player TRD SPORT CONVENIENCE PACKAGE Rear Parking Aid Blind Spot Monitor Cross-Traffic Alert 50 STATE EMISSIONS SR5 UPGRADE PACKAGE Engine Immobilizer Security System Adjustable Steering Wheel Power Driver Seat Driver Adjustable Lumbar Bucket Seats SPRAY-ON BEDLINER (PPO) Bed Liner *Note - For third party subscriptions or services, please contact the dealer for more information. * Equipped with 4WD, this Toyota Tundra 4WD gives you added confidence to tackle the surface of any path you take. You've found the one you've been looking for. Your dream car. You can finally stop searching... You've found the one you've been looking for. Contact Kendall Toyota of Bend today for information on dozens of vehicles like this 2019 Toyota Tundra 4WD TRD Pro. This Toyota includes: 50 STATE EMISSIONS *Note - For third party subscriptions or services, please contact the dealer for more information. * Pull up in the vehicle and the valet will want to parked on the front row. This Toyota Tundra 4WD is the vehicle others dream to own. Don't miss your chance to make it your new ride. This 4WD-equipped vehicle will handle beautifully on any terrain and in any weather condition your may find yourself in. The benefits of driving a 4 wheel drive vehicle, such as this Toyota Tundra 4WD TRD Pro, include superior acceleration, improved steering, and increased traction and stability. Based on the superb condition of this vehicle, along with the options and color, this Toyota Tundra 4WD TRD Pro is sure to sell fast. This outstanding example of a 2019 Toyota 4Runner SR5 Premium is offered by Kendall Toyota of Bend. This Toyota includes: ALL-WEATHER FLOOR LINERS/CARGO TRAY PACKAGE (PPO) Floor Mats 50 STATE EMISSIONS KEEP IT WILD SAVINGS *CREDIT* *Note - For third party subscriptions or services, please contact the dealer for more information. * Want more room? Want more style? This Toyota 4Runner is the vehicle for you. This 4WD-equipped vehicle will handle majestically on any terrain and in any weather condition your may find yourself in. The benefits of driving an Four Wheel Drive vehicle, such as this Toyota4Runner SR5 Premium, include superior acceleration, improved steering, and increased traction and stability. The Toyota 4Runner SR5 Premium will provide you with everything you have always wanted in a car -- Quality, Reliability, and Character. Kendall Toyota of Bend is excited to offer this 2019 Toyota Tundra 4WD. This Toyota includes: 50 STATE EMISSIONS *Note - For third party subscriptions or services, please contact the dealer for more information. * Pull up in the vehicle and the valet will want to parked on the front row. This Toyota Tundra 4WD is the vehicle others dream to own. Don't miss your chance to make it your new ride. This 4WD-equipped vehicle handles any condition on- or off-road with the sure footedness of a mountain goat. With unequaled traction and stability, you'll drive with confidence in any weather with this Voodoo Blue 2019 4WD Toyota Tundra 4WD TRD Pro. The Toyota Tundra 4WD TRD Pro will provide you with everything you have always wanted in a car -- Quality, Reliability, and Character. Contact Kendall Toyota of Bend today for information on dozens of vehicles like this 2019 Toyota 4Runner TRD Pro. This Toyota includes: ALL-WEATHER FLOOR LINERS/CARGO TRAY PACKAGE (PPO) Floor Mats 50 STATE EMISSIONS *Note - For third party subscriptions or services, please contact the dealer for more information. * Want more room? Want more style? This Toyota 4Runner is the vehicle for you. There's a level of quality and refinement in this Toyota 4Runner that you won't find in your average vehicle. This vehicle comes with 4WD for better traction on unstable surfaces, like snow and dirt to give you the edge over anything you might encounter on the road. At Kendall Toyota of Bend, we know not all drivers are the same, so we give you option to make your truck as unique as you. Kendall Toyota of Bend sells lifted trucks to fit your lifestyle and budget. 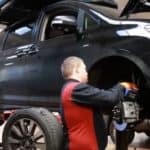 Whether you’re heading up the mountain, busting through muddy bogs, or just want to look good driving through town, your Toyota dealership has the lifted trucks in Bend you didn’t know you needed. Shop our selection of lifted Toyota trucks above to find the one that fits what you’re looking for. You’ll find custom trucks for sale as well with upgraded interiors and towing packages. Talk to our experts to customize your truck from top to bottom and front to back. You can go as simple as splash guards, floor mats, and running boards, or as extreme as you would like with graphic wraps, spoilers, and more. Kendall Toyota of Bend as the truck accessories and knowledge to make your custom pickup truck look and drive how you want. Visit our Finance Center today to learn more about the variety of finance options we have available for you. You can even apply for a Bend car loan in minutes using our online finance application. You can also value your current vehicle and arrange for an appointment for a free car appraisal by filling out our trade-in value form. Fast, easy, and hassle-free, Kendall Toyota of Bend is here to help you get into the lifted truck of your dreams. Contact us online or come by your Toyota dealership Today and to find out what our customization experts can do to make your truck your very own. While you’re here, feel free to browse our selection of custom lifted SUVs.